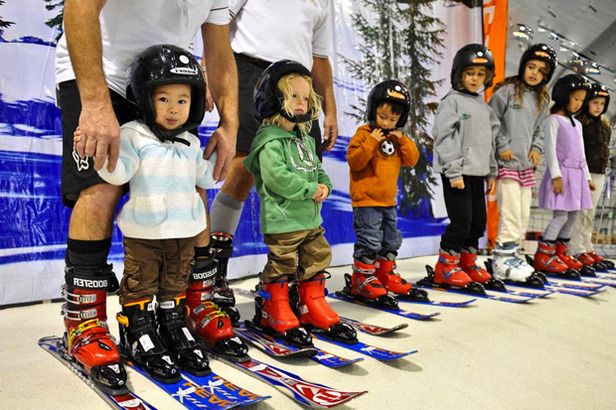 Get your kids outfitted and even some instruction at a ski show near you. Photo Courtesy of Ski Dazzle. The ski season is just around the corner which means it’s time for awesome deals and new product unveilings at this year’s ski shows. 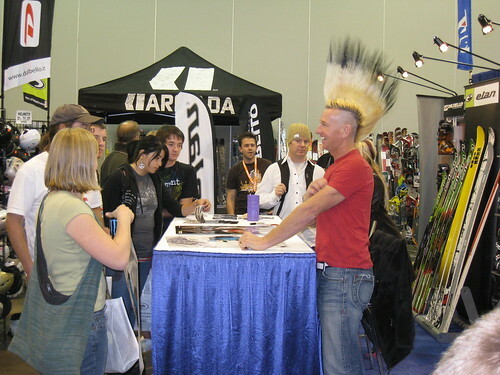 Expos in Toronto, Minneapolis, Chicago, Seattle, Denver, Albany, Portland, San Francisco, Boston, Silicon Valley, Sacramento and Los Angeles will exhibit the 2012/2013 product lines from top ski manufacturers and retailers and offer exclusive deals, lift ticket discounts, exciting shows, demo areas, and pro athlete appearances. The shows are designed to meet the needs of everyone from experts to beginners and juniors to seniors. Knowledgeable retailers, resort staff and industry insiders will be on the floor to demo the latest technologies as well as answer questions and educate newcomers. Along with major discounts on gear and apparel, exclusive deals can also be found on lift tickets and vacation packages. Ski shows are an opportunity to meet industry personalities like Glen Plake. Photo Courtesy of BEWI Productions. Expos are much more than just a bargain hunter’s dream these days. Energy-packed, star-studded entertainment is included in the price of your admission. High-flying acrobats, trampoline tricksters, BMX stars and choreographed stuntmen are just some of the acts you may be able to check out during this year’s shows. “Basically a family of four can come for $20 and you can’t do much else for that,” Weichsel said, emphasizing that kids get in for free at the Minneapolis, Denver and Boston shows. Test your fitness prowess in a myriad of contests and adventure areas including a slackline area in Minneapolis, Denver and Boston as well as a climbing wall and tire chain installation contest in Los Angeles and Sacramento. Beginner skiers and riders can take free lessons from professional instructors in Los Angeles and Sacramento on a massive indoor ski ramp to learn the basics and/or learn to ride the rails just in time for winter. The SkiDazzle Los Angeles Expo also offers the opportunity to bring in gently-used equipment to sell at the show. Big ticket giveaways and prizes will be found all over the events. Some of the expos also offer bier gartens, wine chalets, saloons, cooking demonstrations and tasting areas. Pay attention to the details when you’re buying your tickets. Many expos offer coupons and discounts online to lower ticket prices. Many tickets also include additional perks such as lift ticket vouchers and gift cards. We’ve gathered the important details, now all you have to do is GO!